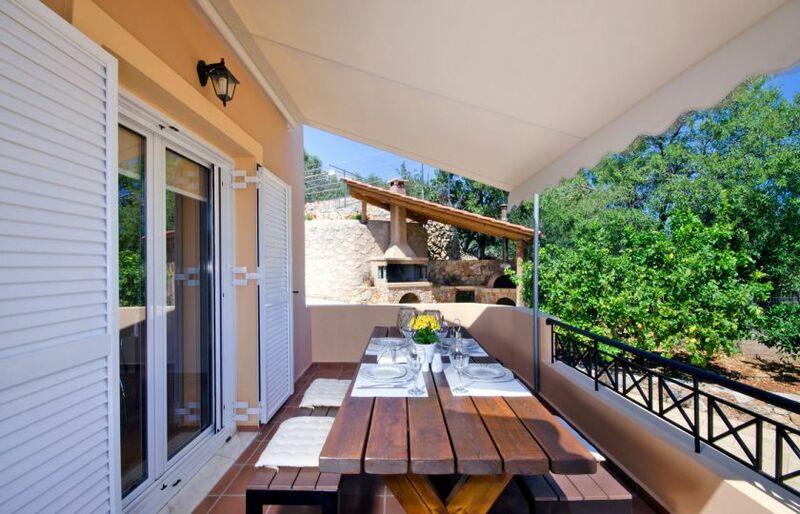 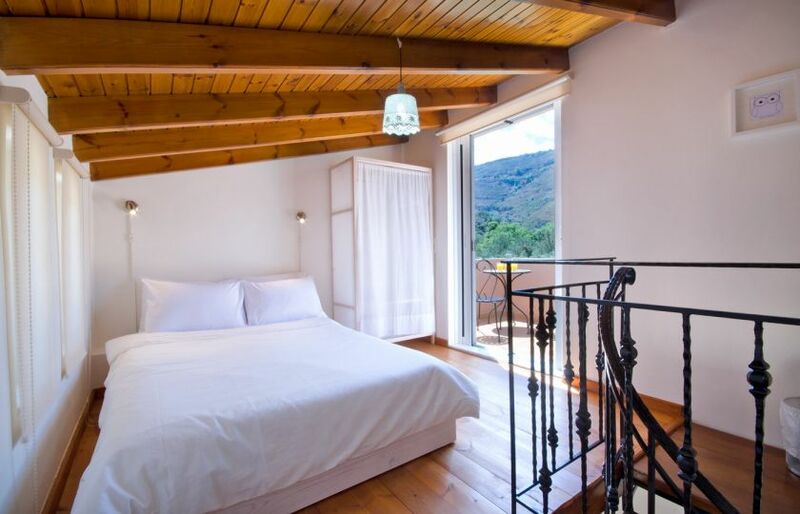 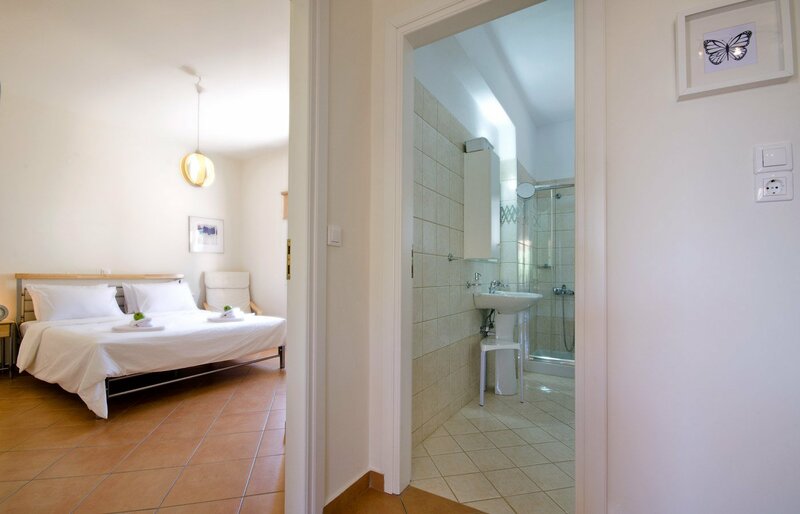 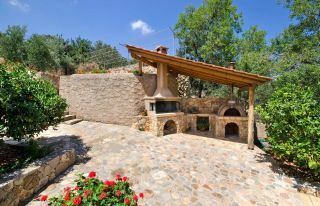 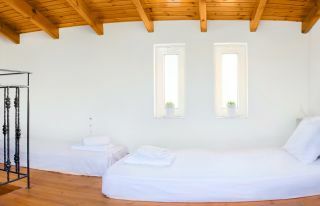 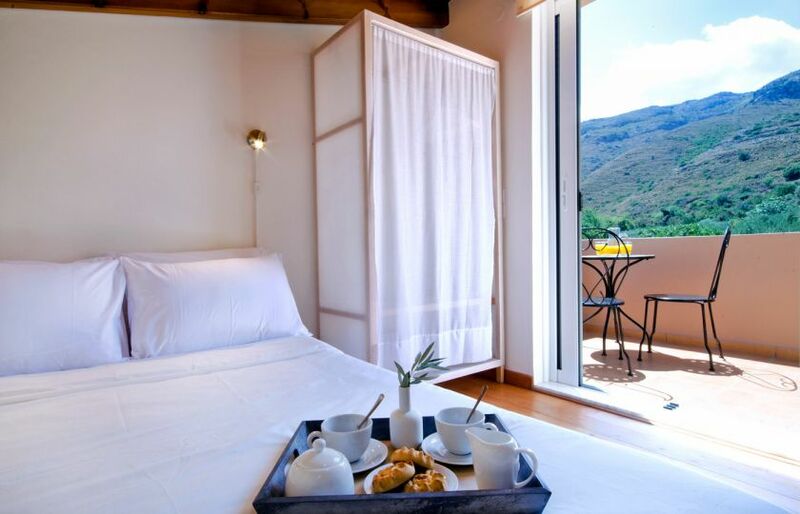 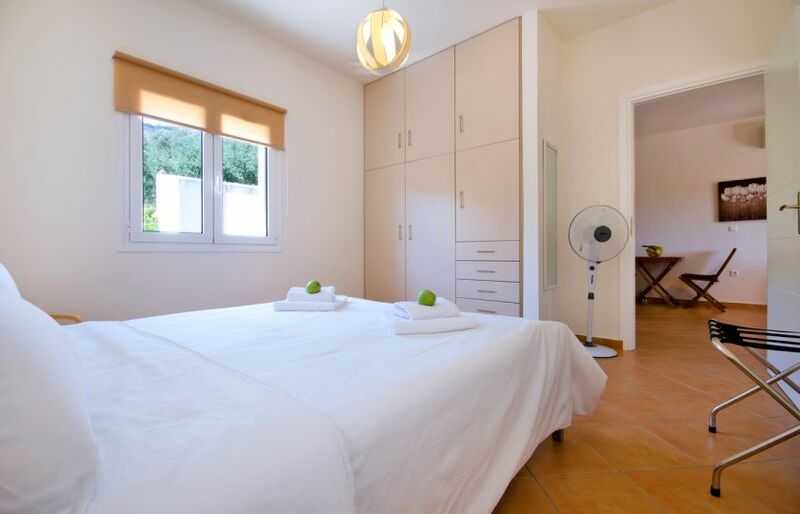 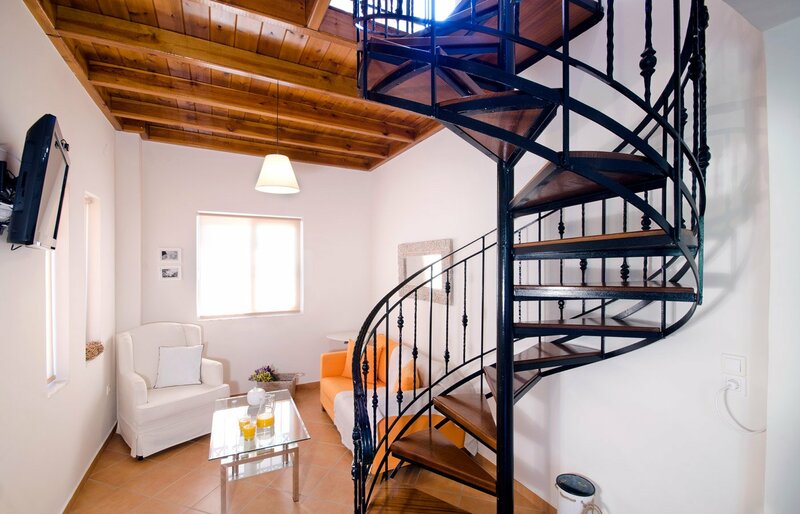 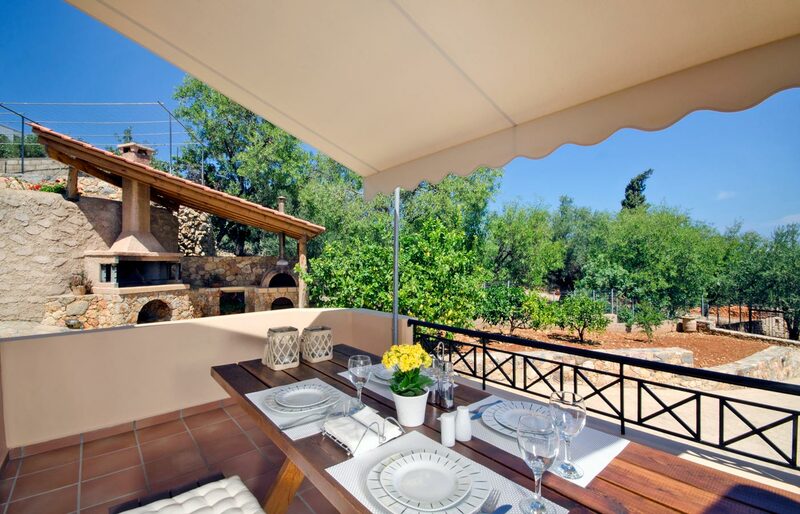 The 2-bedroom Nature House is located in Nerokourou village, 5 km away from the town of Chania. 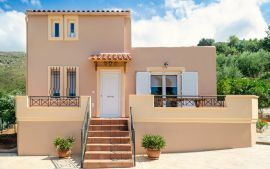 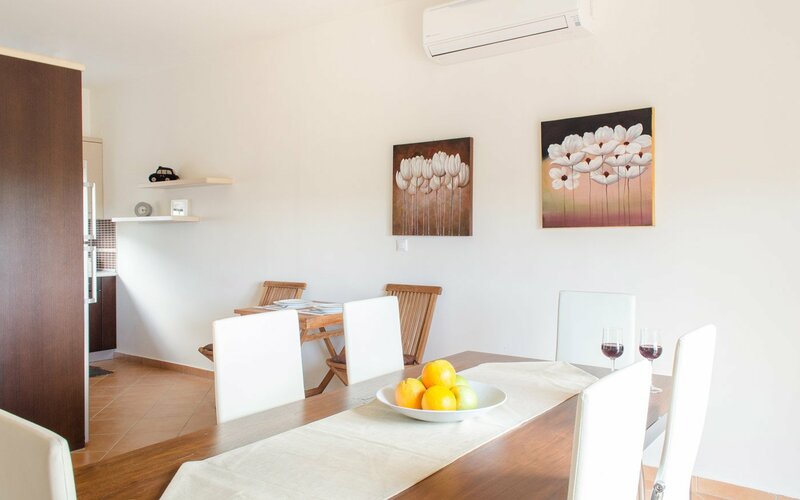 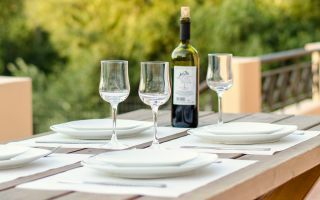 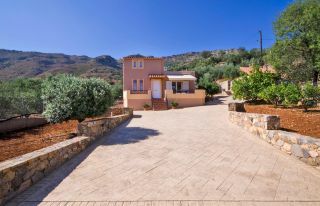 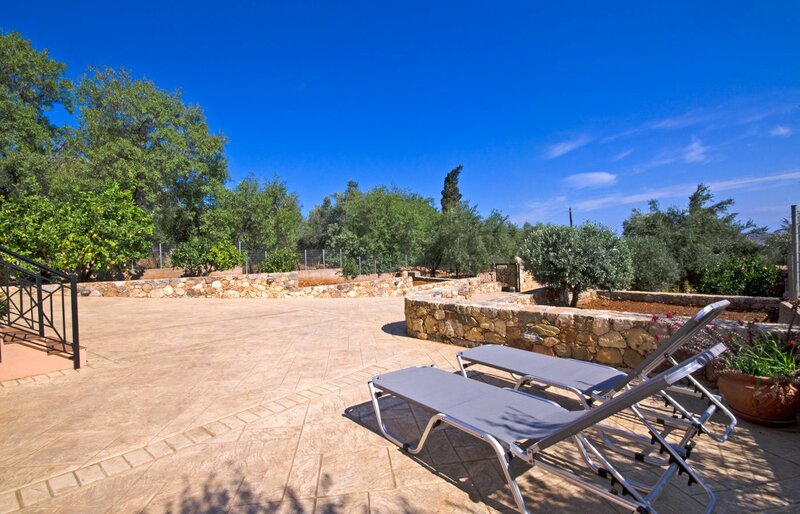 The location of the house, which is surrounded by olive groves, offers great mountain views and relaxation enjoying the peace and quiet of the Mediterranean nature, while the town center is a 10 minute drive away by car. The House has one bedroom with a double bed, an attic with one more double bed (and an additional single matress), a fully-equipped kitchen, a dining room and a small living room. 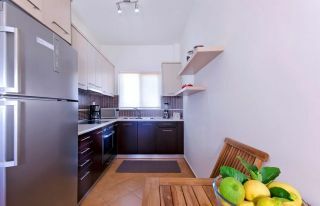 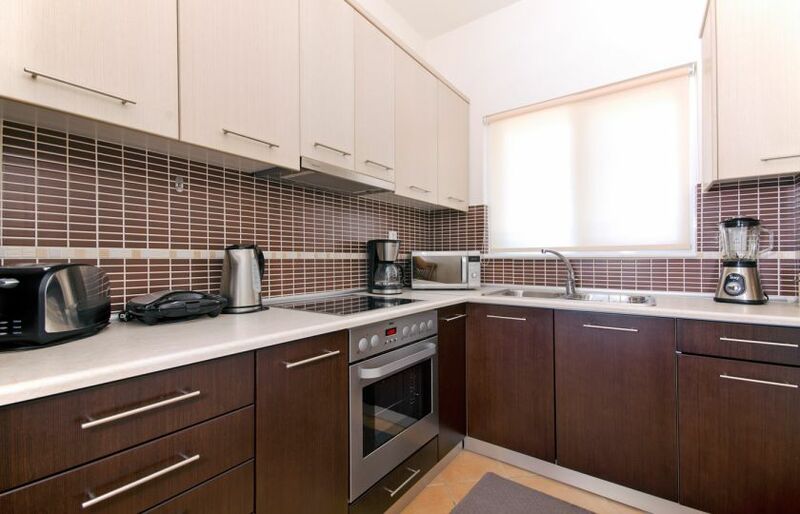 The kitchen is equipped with a refrigerator, an oven, a microwave oven, a kettle, a toaster and a coffee machine. 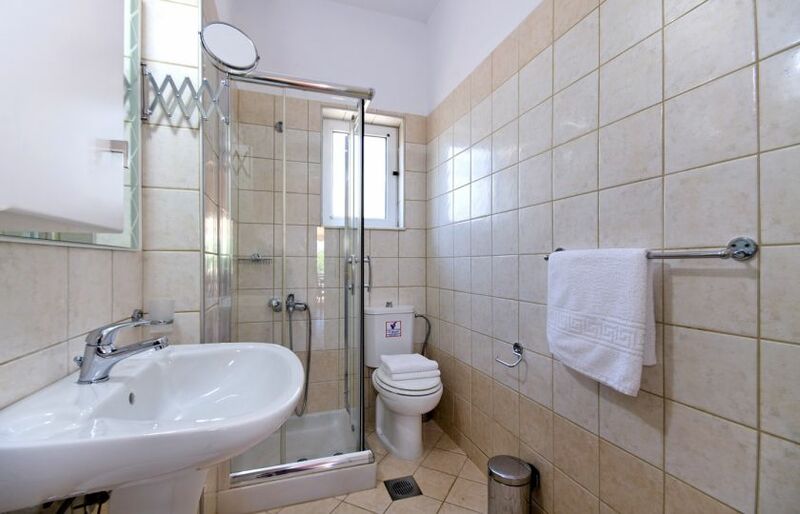 In the bathroom there is a washing machine and a hairdryer. 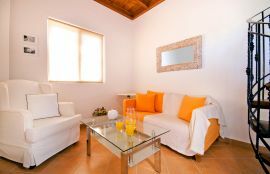 The House also includes a TV set, air conditioning, free Wi-Fi and a parking area. 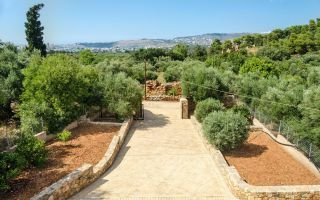 Outside the house a veranda and a great garden with view to Chania town and Souda bay are offered. 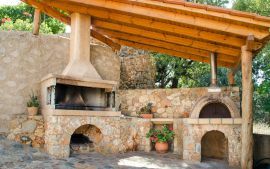 Barbecue facilities are provided as well as. 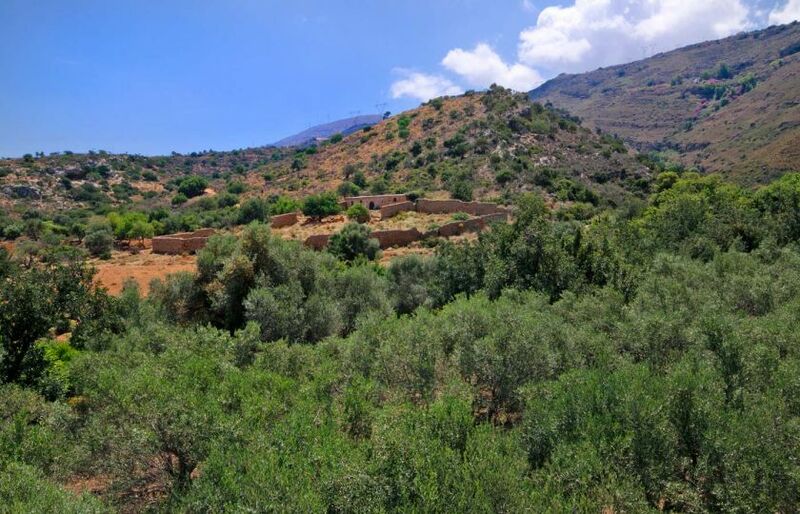 Guests have the opportunity to go hiking in the area where they can see the old Turkish ruins or visit St. George's gorge with the small chapel and the water springs. 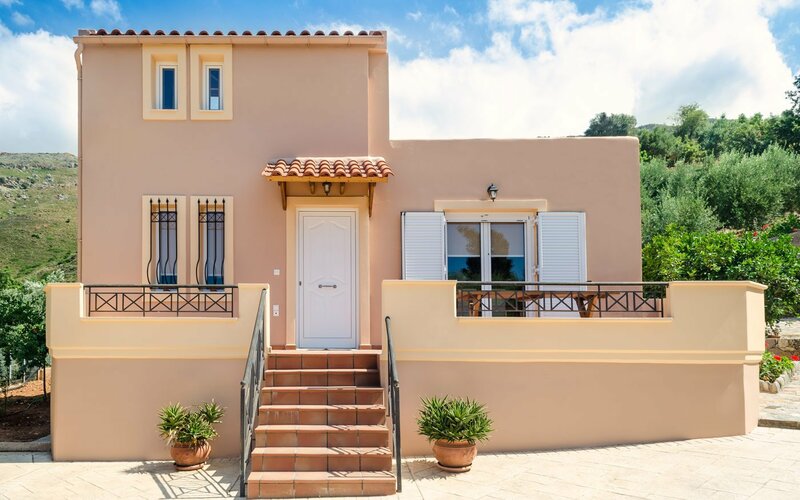 There is nearby access to the national road and to many sandy beaches of Chania (Agioi Apostoloi, Agia Marina, Platanias, Kalives). 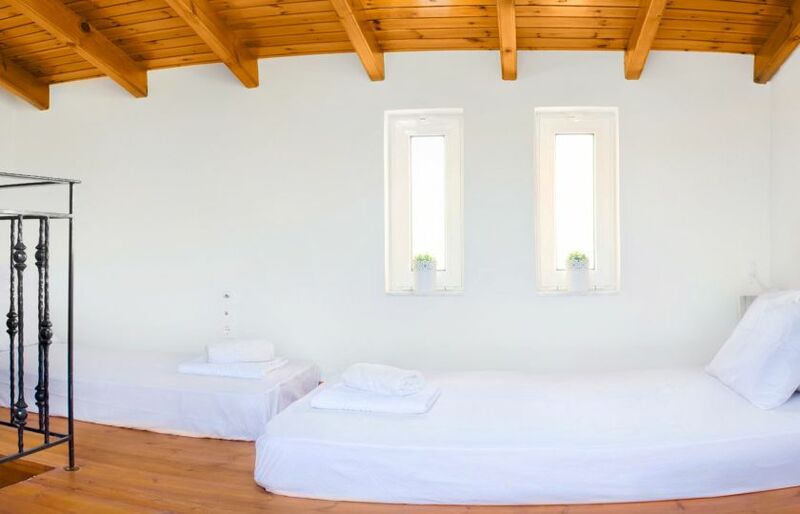 In the area, it is located the School Life Museum of Chania where visitors can see how school life was in Greece in the last century, a traditional cafe and a mini market. 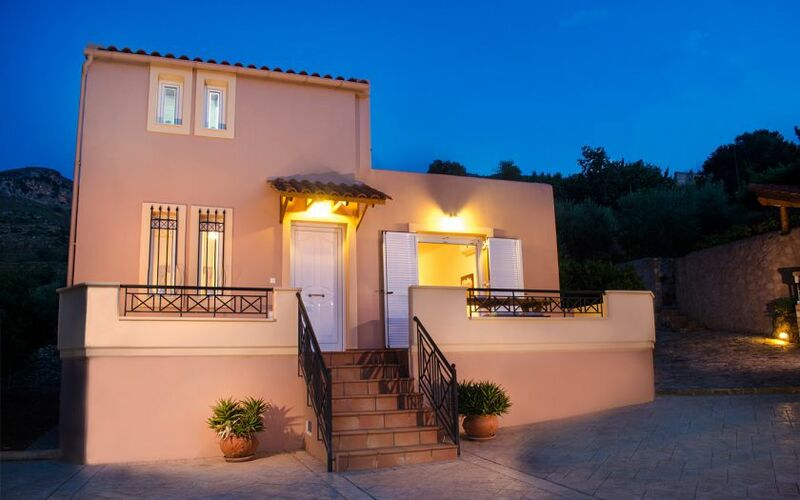 Chania airport is 19 km away from the property while Souda port is only 2 km away. Very peaceful and rural place. 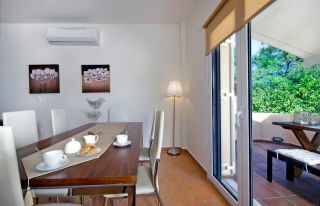 Very nice place, we enjoyed our holiday very much. 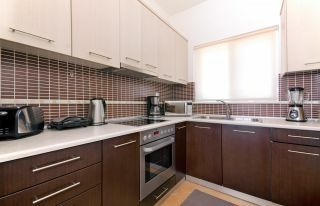 We are going back within a few years. Charming little house not far from Chania, shops, restaurants, lovely beaches a few kilometers away. 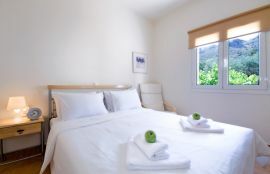 I very much enjoyed my stay at Nature House, everything was perfect. 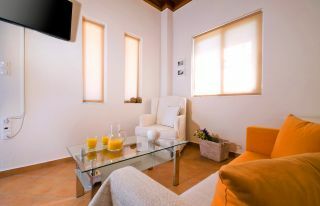 The staff of TheHotel.gr are very professional, providing any help when needed and available all the time. I highly recommend this agency and surely will request their services again. Thank you very much for your kindness and availability.